Looking for photos from Erica and Kit's epic wedding in Sabillasville, MD? 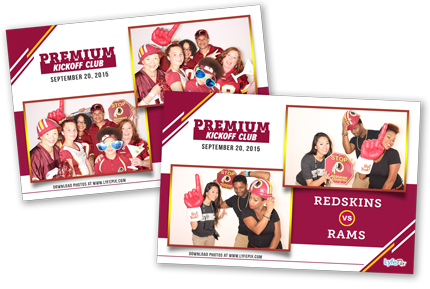 View and download photos from Redskins vs Rams game at FedEx Stadium. Sleek and modern. Fits up to 12 people. Beautiful photos. 10 Second Prints! Includes an on-site attendant. 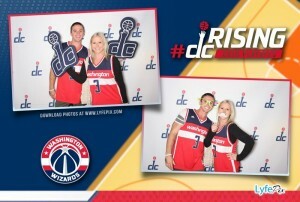 Not your typical photo booth! Have fun and get everybody in on the action! Our sleek and modern photo booth can fit 15 adults. Rent one for parties, corporate events, weddings, or any other event. Get a free on-site attendant with every rental. They’re there so you never have to be. Rent a Lyfe Pix photo booth with a completely custom backdrop. We can design and make a custom backdrop for your next event. Make it anything you want. 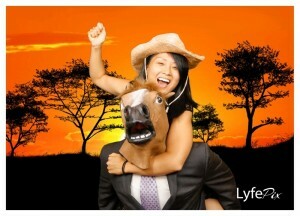 Add some more fun with our green screen photobooth. Like a Hollywood movie, we can make your dreams come true. Be anywhere in the world — in the tropics or even out of space. We can use virtually any image and make it your background. 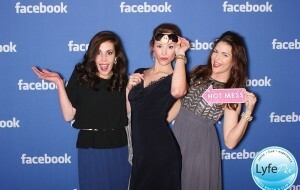 Photobooth rentals include free props. We have lots of funny props and costumes to choose from. There’s something for everybody. Inventory updated constantly. Configured to hold a large group and includes an entertaining attendant. Have fun while we capture the moments for you. Smile! Photo booths and flip book booths are perfect for any event. They’re good for birthday parties, weddings, dances, bar/bat mitzvah, charity, and corporate events. Snap a picture and take the fun home! 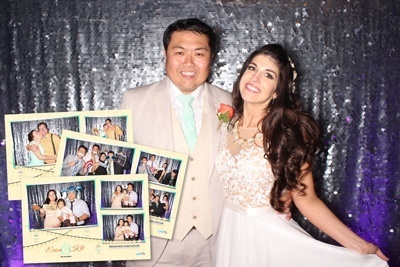 Rent a photobooth or reserve a flipbook for your next event in Maryland, Virginia, Washington DC, Pennsylvania, and California (The Greater Los Angeles Area). We also travel all over the United States. Special day or big event? Make it memorable! New website coming soon! Please pardon the dust.